Tommy Arnett and Fred Maines add the last flag to the line in memory of Randy Arnett who started the Flag Day ceremony three years ago. Burning flags is the proper way to dispose of old and worn-out flags. A boy adds a flag to the line. 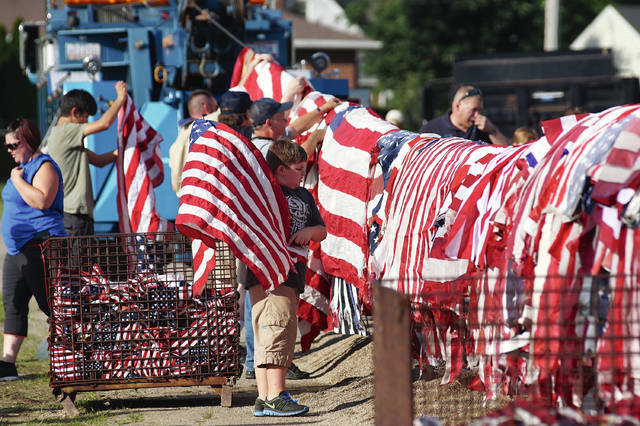 Barb Slone | Greene County News Community members brought 1,700 worn and tattered flags to the Greene County Fairgrounds June 14, Flag Day, for a retirement ceremony. 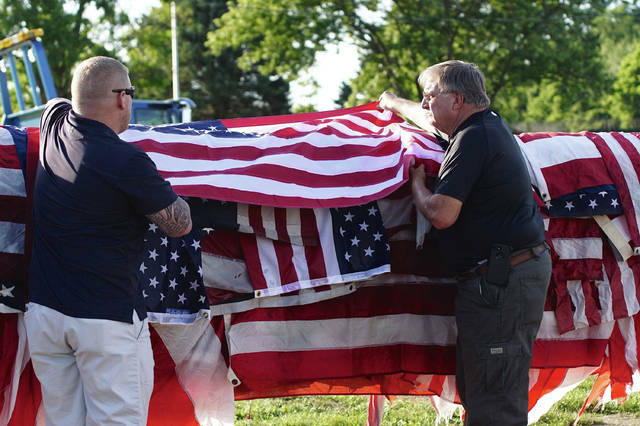 Community members brought 1,700 worn and tattered flags to the Greene County Fairgrounds June 14, Flag Day, for a retirement ceremony. https://www.beavercreeknewscurrent.com/wp-content/uploads/sites/49/2018/06/web1_ArnettMemory.jpgTommy Arnett and Fred Maines add the last flag to the line in memory of Randy Arnett who started the Flag Day ceremony three years ago. 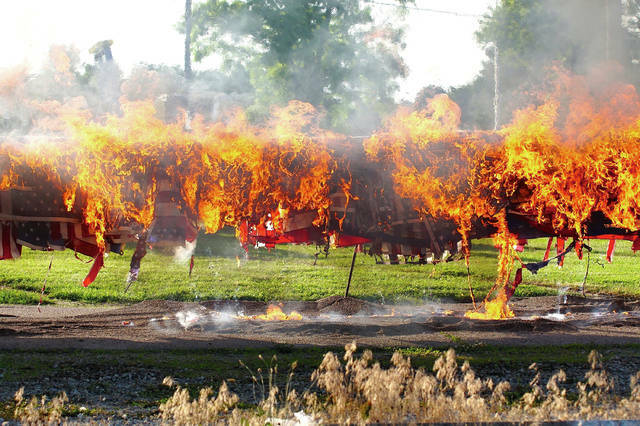 https://www.beavercreeknewscurrent.com/wp-content/uploads/sites/49/2018/06/web1_Burning2.jpgBurning flags is the proper way to dispose of old and worn-out flags. https://www.beavercreeknewscurrent.com/wp-content/uploads/sites/49/2018/06/web1_BoyFlags.jpgA boy adds a flag to the line. 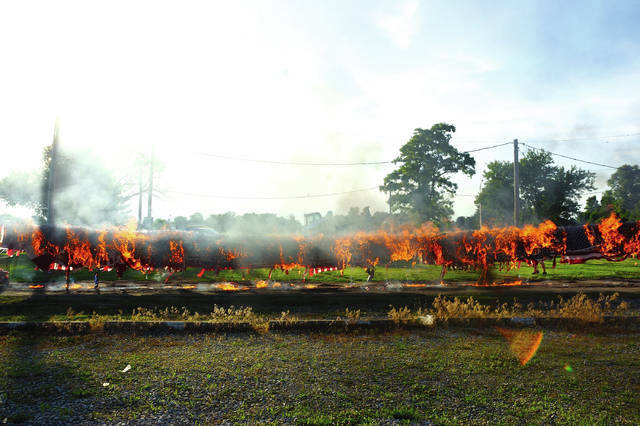 https://www.beavercreeknewscurrent.com/wp-content/uploads/sites/49/2018/06/web1_Burning1.jpgBarb Slone | Greene County News Community members brought 1,700 worn and tattered flags to the Greene County Fairgrounds June 14, Flag Day, for a retirement ceremony.